Greetings, and welcome to our bulletin full of information on exciting Russian events. RCS Haven is welcoming anyone who is interested in studying Russian language, literature and culture. We have English and Russian language lessons. There are a library, Art studio for children and Science club. Also, the Centre provides consultations in law, finance and other aspects of work and business in Russia and Britain. Literature Lounge opens its doors again for everybody who is interested in Russian poetry and prose at RCS Haven’s Russian School (Adelphi Centre 12 Commercial Rd, Glasgow G5 0PQ) at 11:30 am. Russian Saturday school students will declaim poems written by S. Marshak, A. Pushkin and other famous Russian authors. This year international literary contest “Live Classics” participants will read prose of children’s writers as S. Chorny, I. Pivovarova and V.Zelesnyakov. It is widely known, that in Russian culture literature and fine art are tightly connected and complement each other. Therefore, the Literature Lounge will host a themed drawing workshop for young artists and guests. The upcoming Mother Day and Spring are the main themes for inspiration. Also, the winners of school art competition “The world through the eyes of a child” will be announced. Anybody who wants to take part in the competition should bring their works to Russian Saturday School at the address stated above (Artworks can be handled to the school teachers or parent’s committee). RCS Haven is looking for Russian and Chess teachers for the Saturday school. Classes for children are based on Russian teaching methods for primary school level native and non-native speakers. Art lessons for children are undergoing in RCS Haven. Under supervision of experienced teachers and a specialist in early development, children study the basics of drawing and painting, language development, drama, science and math. All children are welcome. Art studio takes place on Fridays 17:30 - 19:30. Classes for those who want to study Russian and English language. Russian lessons on Mondays at 18.00 - 19.30 Continuation Beginners, 19.45 - 20.45 Beginners, on Wednesdays at 17.45 -18.45 Advanced, 19.00 - 20.30 Intermedia (11 Duke Street). Sharmanka are a unique and award-winning theatre group. Their beautifully carved figures perform an incredible dance to haunting music and synchronised light, telling the funny and tragic stories of the human life and spirit. Café de la Poste. Sparkling Russian/English conversation over tea and cakes. The group meets on the first Thursday of the month. No charge apart from any drinks and cakes you choose to purchase. Open to all - no need to book. Just turn up and you will be warmly welcomed by the group. For more information please contact [email protected] Tel. 0131 560 1486. Café de la Poste, 41 South Clerk Street, Edinburgh EH8 9NZ. The Erickson Lecture 2019 will be given by Dr. Andrew Monaghan, Director of Research on Russia & Northern European Defence & Security at the Oxford Changing Character of War Centre at Pembroke College. Events organised by and related to the Princess Dashkova Centre. Russkaya Cappella will be participating in the Glasgow Music Festival Choir Competition again this year, after a successful second place in 2018. This event will take place at the The Glasgow Royal Concert Hall from 6.30 pm onward on the 12th of March. 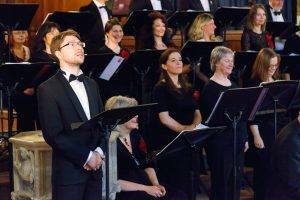 Russkaya Cappella will perform some beautiful pieces by Rachmaninoff and Tchaikovsky. The choir is in the category Mixed Voice Choirs and are expected to sing from 7.50 pm. 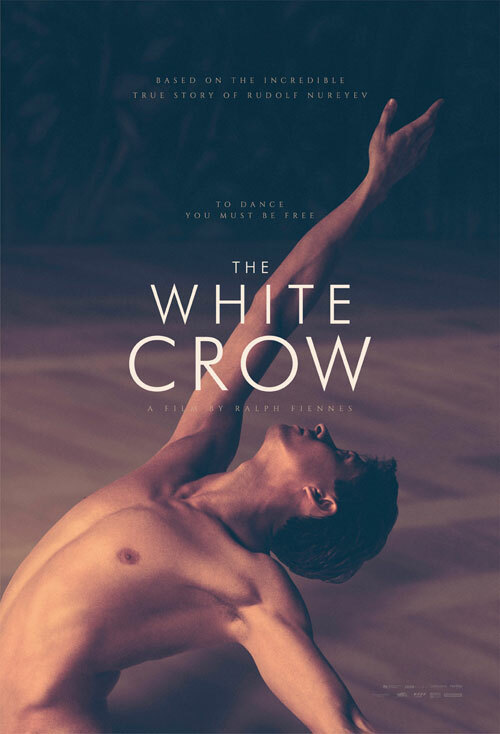 Arriving in UK cinemas on March 22 is The White Crow, a film directed by Academy Award-nominee Ralph Fiennes from a script by BAFTA winning screenwriter David Hare. The film tells the extraordinary true story of legendary Soviet ballet dancer Rudolf Nureyev who went from a poverty stricken childhood to blossoming dancer in Leningrad before enduring a nail-biting escape from the KGB in order to defect to the West during the Cold War. Thank you for reading this bulletin; we hope you have found it interesting, useful and enjoyable. If you have any news or events that you would like us to highlight in future editions, please contact us at the address below.